since this photo was taken. When you have sensitive skin, it can be tough to find affordable toners. You want something simple and refreshing, without a dizzying cocktail of ingredients. 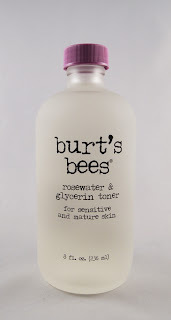 Burt's Bees offers one option with their Rosewater and Glycerin Toner. This gentle toner has a refreshing scent and a nice cooling effect. It left my skin feeling soft and clean. I enjoyed the feel of it, and it seems gentle enough for sensitive skin. It rated a low 1 on the EWG Skin Deep scale. I only wish that it were vegan, as it seems it would be an easy switch (using vegetable glycerin). Also, it should be noted that the packaging in this picture had no device at the top to narrow the opening. It would be nice if that was included with the newer packaging, if not already. 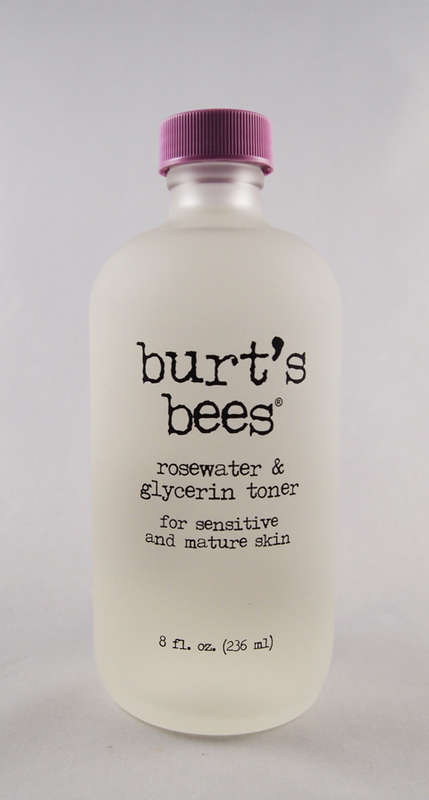 If you're looking for a gentle toner that is affordable, this is one nice option.